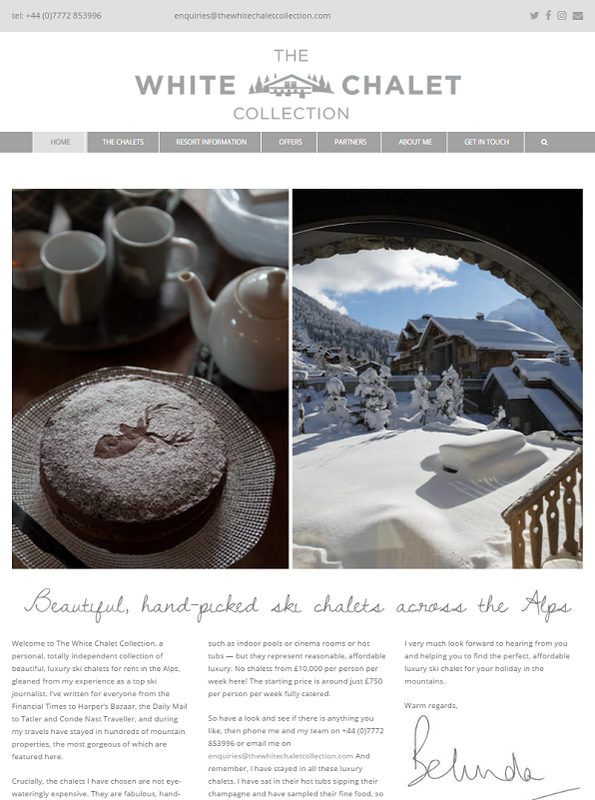 The White Chalet Collection is an independent collection of luxury ski chalets across the Alps, hand picked by renowned ski journalist, Belinda Archer. The client already had a website, but wanted to optimise it further for search engines and users. We ran website tests, did a keyword analysis, optimised the website and gave instructions to the client for doing their own metatags and header tags… as a journalist the website was very much in the client’s own voice and we mutually agreed that in this case it was best for the client to write their own metatags. Amendments to the website including many technical areas, optimising images & code, as well as visual changes such as adding a favicon & styling the header tags to create a more pleasing design. We were delighted to increase the website speed from a poor 40/100 (desktop) to 85/100. Other web test results were also dramatically improved. The client was great to work with & took on board everything we said, in order to continue to improve the content of the website. We will look forward to continued work with Belinda in the future. If you’re looking for an idyllic ski chalet (or if you just want to dream about one) then take a look at the website… The White Chalet Collection.